Our Knightly 3/4 Leather Leg Armour is a great start to protective coverings for your legs. It is a combination of leather cuisses, which protect your upper legs, and leather poleyns, which protect your knees while still allowing for ease of movement. This hand-crafted armor is composed of several leather plates that have been riveted together. These pieces of armour are not designed to come apart which ensures maximum protection and durability. The leather used to craft this armour is not only top quality but armour-grade 13/15 oz. leather. It is stiff and thick, and works fantastically as armour. 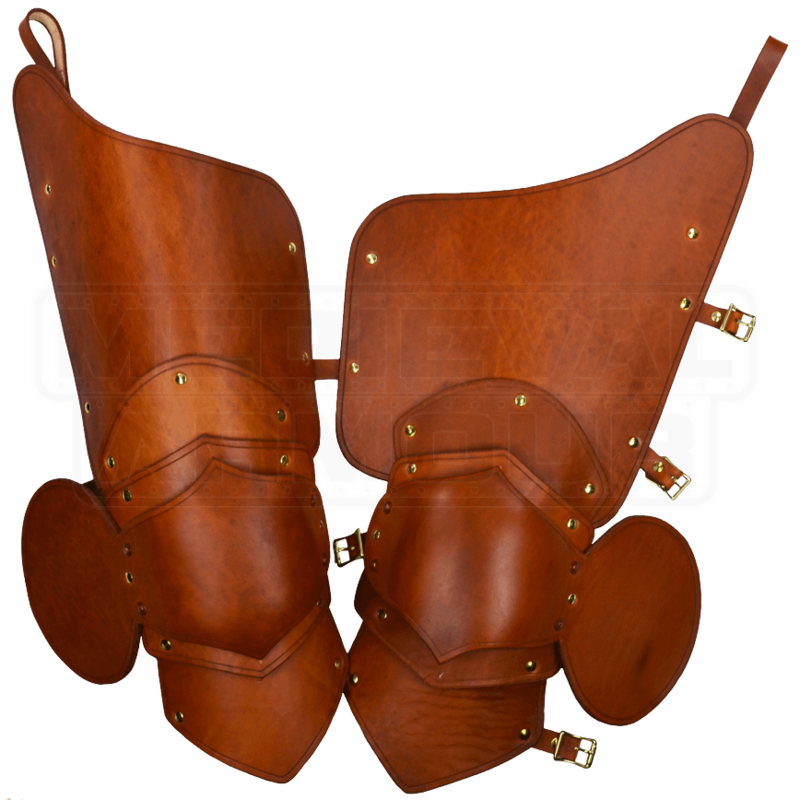 The leather poleyns have been designed to allow for a good range of moment, ensuring that this leg armour will not slow you down much, if at all. This set of leg armour secures to the leg via a system of straps and buckles, two on the upper thigh, one at the knee and one below the knee. There is also a belt loop at the top of the legs that can be attached to your belt if desired. 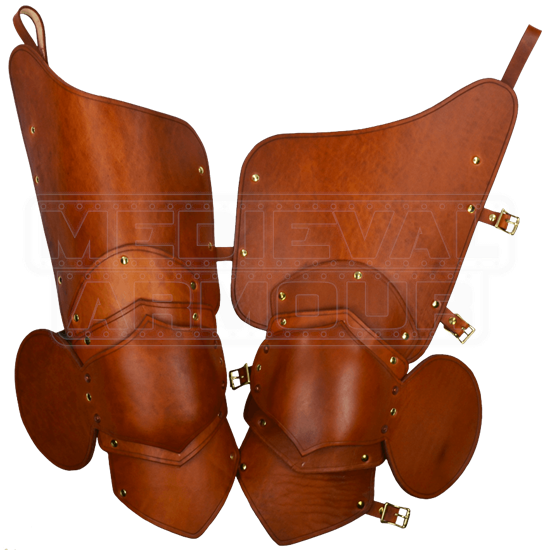 This leg armour features a very classic style with a shaped and molded knee, great for any Knight. The Knightly Leather Leg Armour is a fantastic start to leg armor that will keep your upper legs and knees safe for many battles to come. If you are looking for full leg protection, simply pair these with any of our under-knee style greaves.